At the beginning i had to stay for 2 night and I decide to extend my stay, cause I meet really nice people, the place is calm, isn’t a party hostel, the rooms and bathrooms are clean, the kitchen have everything to cook. Really big rooms and a well equipped kitchen. Close to the market and supermarket. Really nice hostel! Excellent location. Comfortable clean rooms. Some staff were very helpful and friendly, others not so much. Lovely courtyard area to hang out and meet people. 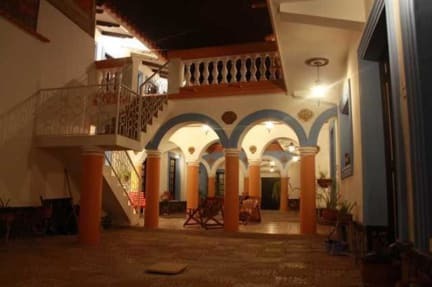 Great hostel, good location (close to the touristic area, restaurants $ cafes, a local market). Nice, clean rooms, comfy beds (I stayed in 4-bed dorm). It has a wonderful interior patio. The internet could be faster. I extended my stay for 2 more nights. 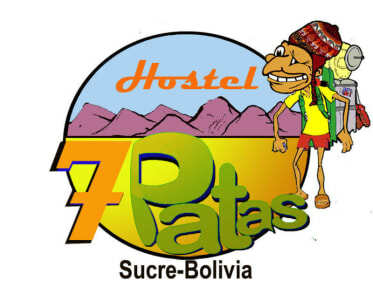 Great hostel, great staff who are mainly volunteers. But we where lucky with two great Irish girls. Loads of info about the city, great location and big kitchen. Could do with more bathrooms for the size of the hostel. Really great hostel, comfy beds, clean and spacious rooms. Great location, very central. Only issue with the hostel is that the showers and toilets are together so it’s often difficult to just use the toilet because it is quite a big hostel so people are having showers through the majority of the day. Nevertheless, I would stay again. Nice location, big kitchen, nice guests. I had a private room near reception. I could hear people talking right outside my door late at night and early in the morning (including a volunteer talking loudly on her phone without headphones at 8:00 a.m.). Thin, see-through curtain let's a light of light in the room when trying to sleep. Cleaning lady was very rude to me. Front desk staff was nice. Overall, good value for the money, but I would ask for a different room next time.